There is definitely a new vibe at Lookout Pass this season. 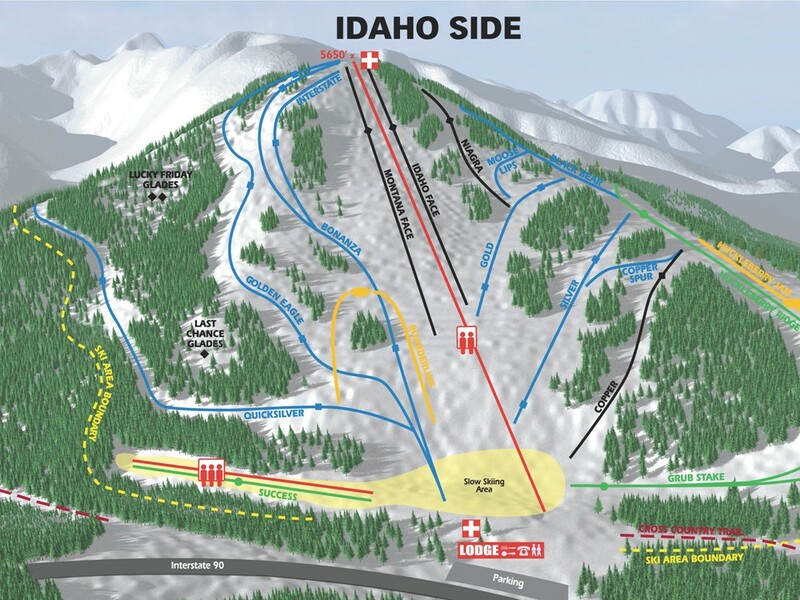 The obvious improvements will be the replacement of the rope tow in the beginner area with a new triple chair, taking away the mental challenge of using a rope tow — something that even the most accomplished skiers dread — and making it easier for those learning to ski to get up the mountain. There has also been a slight facelift on the lodge at Lookout, new carpet and a fresher look that only a visit to the Pass can describe. Lookout Pass is welcoming a new marketing and snow sports director, Christopher Barrett, more commonly known as “Cash” around the mountain. He brings with him a wealth of knowledge on resort marketing and snow sports teaching techniques. His enthusiasm is infectious as he explains his passion about snow. “Everyone comes to Lookout for a different reason: families, skiers, snowboarders looking to learn, searching for powder, but whatever you are here for, I love you, because you love snow,” he says. His energy and excitement for the industry are apparent with the introduction of a new learning technique he is emphasizing this season. Cash goes on to explain that while Lookout has a long-standing tradition of being a place for families from all over North Idaho and western Montana, he wants every niche in the industry to feel an attachment to Lookout — and he’ll be reaching out to them using events, lessons and social media outlets. On tap for the 76th season is the famous Lookout Pass Free Ski School. Offered Saturdays Jan. 12-March 16, it is just that: free. It’s a great program for beginner and intermediate boys and girls, ages 6-17, to progress at skiing or snowboarding. More than 60,000 skiers and boarders can’t be wrong. Only catch is, you must provide your own equipment or rent some from their shop. But this is where the deal — open only to beginners — sweetens and Lookout takes it to the next level. From their Free Ski School to their amazing EZ Ski and Ride 1,2,3 offer, Lookout Pass offers several ways to make learning easy, affordable, fun and effective. Additionally, Lookout Pass offers the most affordable day ticket rates in the region and even has a shuttle — for a nominal fee — from Spokane Valley and Coeur d’Alene and offers free transportation for those arriving from the Silver Valley and western Montana.